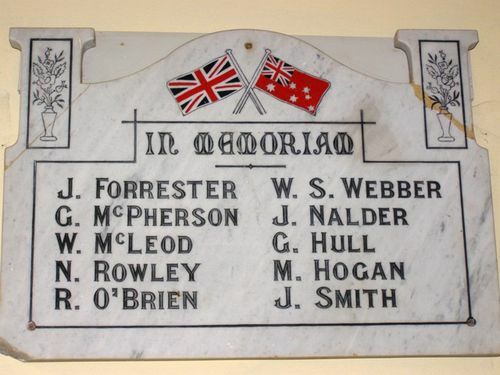 The In Memoriam Roll is an marble tablet containing the names of those who lost their lives in World War One. The origin of the roll is unknown. Note : Names were checked against the World War One & World War Two Nominal Rolls and it appears likely that these names pertain to those who served in World War One.